Royally bred three-year-old Langkawi took the first step on a path towards some of the feature age group events later in the summer when he landed his first victory at Hastings on the weekend. The Helmet gelding is out of handy broodmare Shortblackmini, who has produced the well performed Amarula and Little Wonder from her first four foals. The Black Minnaloushe mare is a half sister to six-time Group One winner Sir Slick and 2014 Gr.1 New Zealand Derby winner, Puccini. 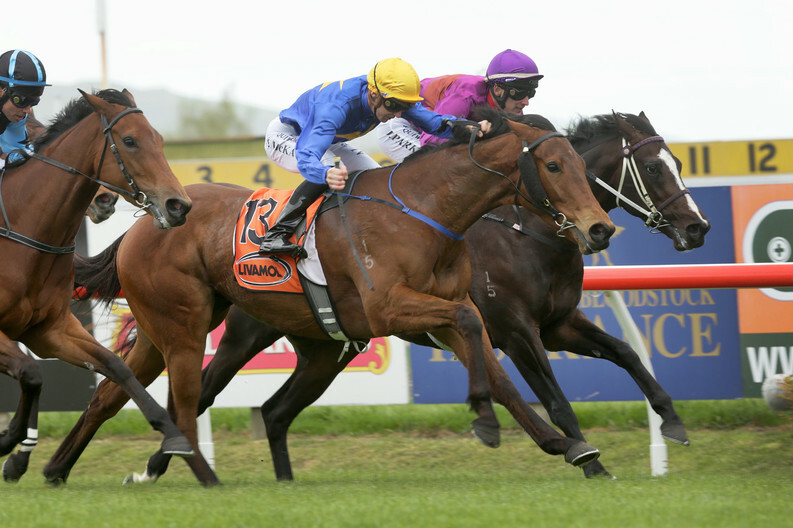 The Peter McKay trained runner looks to have inherited plenty of the family ability. He ended a frustrating run of runner-up finishes with victory over 1400m in a special conditions maiden event at his fifth raceday start. There was plenty of merit in the performance of Langkawi as he out-toughed the Lisa Latta trained Lincoln Falls, who is touted as a serious contender for the Gr.1 Al Basti Equiworld Dubai New Zealand 2000 Guineas (1600m) at Riccarton next month. McKay cut a satisfied figure as he outlined his plans over the next six months for the gelding. “He’s still a green horse who will be better after Christmas but that’s a pretty good horse he’s chased down today,” he said. McKay, who co-owns the horse with his wife Kim and Steve Gudsell, had thought of starting Langkawi in the Gr.2 Sacred Falls Hawkes Bay Guineas (1400m) but opted for what he thought might be a softer option. “I thought this was going to be a wee bit weaker but when I saw Lincoln Falls I thought if he beats him he could be placed in the Guineas,” he said. “Steve was happy with my decision as I said we’re not quite ready to be taking on the Guineas horses. “There’s plenty for him later on in the season, as I have ear-marked the Derby for him so we don’t wat to be presuring him too much at the moment. 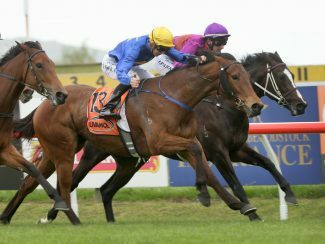 Lincoln Falls lost no admirers in finishing second and currently sits at an $18 quote on the Fixed Odds market for the 2000 Guineas while the third-placed Out Of The Park caught the eye with a barn-storming finish for co-owner Brendon McCullum and his Vermair Out Of The Park II syndicate.